Think about this for a second. Tim Duncan played four years at a small college in North Carolina, he entered the NBA as the top draft choice in 1997 to a franchise where he would spend 19 seasons (The average American spends just over 4 years with the same company by the way). He started 1389 of 1392 possible games playing over 47,000 minutes, scoring over 20,000 points, over 15,000 rebounds, over 3,000 blocks, over 4,000 assists and over 1,000 steals. If the term "Complete Athlete" were in the dictionary it would say "See: Tim Duncan". Oh, and he won. A lot. But what is more astounding to me is the fact that essentially everyone (maybe in this case everyone over 6'10", but still) has the same opportunity to have a skill-set like his. Now don't misunderstand me to be saying what he has done has been easy. Hardly. He's tirelessly honed and adapted his game over the years. But what he has done is perfect the basic movements and skills needed to excel in his sport. Think about that for another second. A Hall of Famer, arguably the greatest in his position of all time, a 5-time NBA Champion, a 3-Time NBA Finals MVP, and a 2-Time NBA MVP accomplished all this by perfecting basic skills. Nothing flashy, just a guy doing his job really well. Tim Duncan has been a true superstar while essentially being the antithesis to what we believe a superstar is. He's selfless, he scores but can pass, he works hard for himself and even harder for the guys on the court with him. He's loyal, he doesn't chase money or fame. He's quiet and subdued. He changes for the team, not the other way around. He's a coach on the floor while still being coach-able. He became a superstar by doing what most kids at youth basketball camps are taught, so well that he was named Sports Illustrated Player of the Decade. Of the decade! I'm constantly floored by the class and poise he possessed every night he took the court. The example of Tim Duncan translates to essentially all sports and disciplines. Being "in" soccer, working with college players and watching endless amount of "high-level" youth games has shown me that what so many players are missing are exactly the skills Tim Duncan made a living off of. The fundamentals. I know this isn't mutually exclusive to soccer but what all young athletes need to realize is that being really really good at what seem to be the most elemental skills is also really really important and in the modern game almost has become scarce. Duncan used the backboard, most players don't. Why not, because it isn't cool? Well, it is efficient, effective and proven to work. Many young soccer players do things that aren't efficient, effective or work. My question to coaches and players out there is why not? Why not be so fundamentally sound and so good at skills others overlook that you ultimately stand out. Frankly I wish I would have done so. And I completely understand that by just doing this doesn't guarantee you a career that ends with a hall of fame induction. But it's a really good place to start. 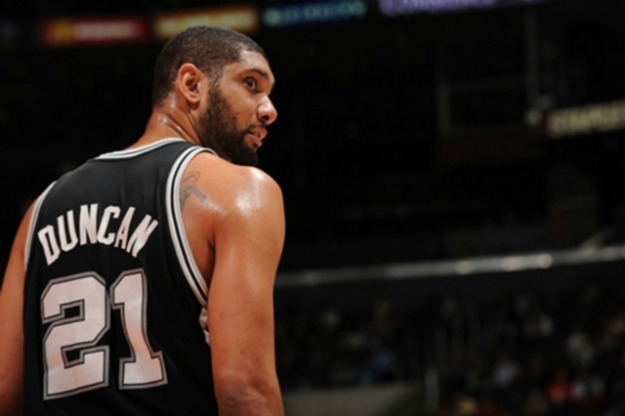 I titled this post The Big Fundamental, The Big Anomaly. This shouldn't be the case. It shouldn't be rare that athletes are fundamentally sound. Lets get back to the basics. Set the foundation and once its set then let the creativity flourish if it so desires. "Comprehension of basic skills practiced repeatedly can produce profound results"